ScienceAtHome | ScienceAtHome goes to Austin! In our previous post, we mentioned that this week will be very exciting for the ScienceAtHome team. Jacob and Aske are flying to Texas to perform an experiment which signifies a major next step in our research! In Texas, they represent our team in the annual NI Week 2016 conference by hosting a booth all week and delivering a keynote presentation on Thursday. What is the NI Week? Over the last 40 years, National Instruments (NI) have created numerous hardware and software products that are widely used in the field of engineering and beyond. Their most popular product is LabVIEW, a tool created for building measurement and control systems—even LEGO uses it! 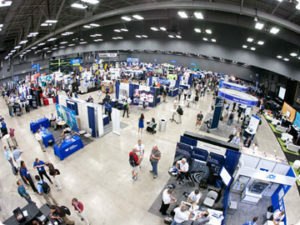 LabVIEW has millions of users worldwide, and once a year the most active users gather in Austin, Texas, to share with the whole NI community the most interesting and creative ways of using LabVIEW. LabVIEW is also used by the ScienceAtHome lab team in their atom experiments. Recently, our research assistant Aske Thorsen has been building a tool called Alice, which controls the process of cooling down atoms to ultracold temperatures. Since the experiments that Alice controls also use NI hardware, Jacob and Aske were invited to present ScienceAtHome case in the NI Week of 2016. In their keynote speech, Jacob and Aske will introduce Alice to the whole community of NI users and invite all participants of the conference to control our experiment remotely by using the Alice interface. In fact, they will run a pretty exciting social experiment on the NI Week participants, asking them to optimize the Alice experiment with Aske’s user-friendly interface. Next week’s blog post will be dedicated to sharing all the details of the Alice experiment, but if you are eager to hear more already now, head over to alice.scienceathome.org for a sneak peak! While on stage, Jacob also has the honor of inviting the vice president of National Instruments to play Quantum Moves. What’s more, this occasion is very special, as the data created by the vice president will actually travel all the way to Aarhus, to the controls of the Alice experiment, and it will be used to move a cloud of ultracold atoms. That’s right, this is the first time we actually realize game data in the lab real time, and we could not be more excited! The best news is that you will be able to follow all of this real time! 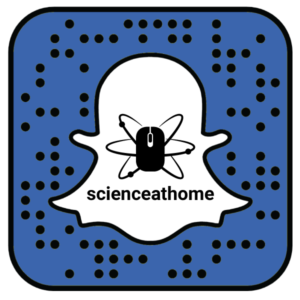 Aske and Jacob are sharing glimpses of their trip to Texas on the ScienceAtHome Snapchat channel. Follow us on Snapchat to receive updates from the NI Week and all the exclusive activities Aske and Jacob take part in. One of the moment you don’t want to miss is the real-time experiment during the keynote speech on Thursday! We will remind you of this on all our social channels, so be sure to stay tuned!